I wanted to take a close up picture of my beautiful box of Nicobella Dark Chocolate Truffles to post but unfortunately……it was empty. There is no doubt about it, I love dark chocolate. 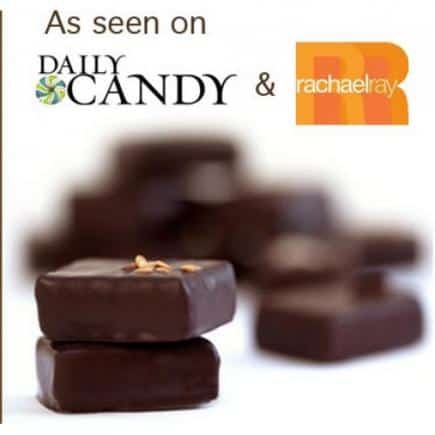 Once it became widely known that it is also healthy due to the antioxidants (in moderation of course…I wouldn’t recommend an entire box like some people I may know), I knew that I had found my favorite healthy yet decadent treat. 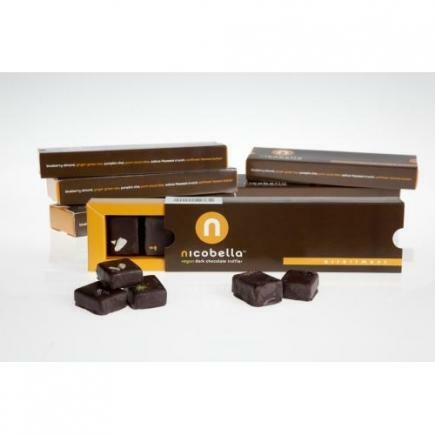 Nicobella dark chocolate truffles are vegan, all natural, organic and fair trade. So we know it is good for our bodies and the earth but how does it taste? The Dark Chocolate Pumpkin Chai was a subtle burst of flavors that transported me from the hot Florida summer directly into the sensation of a fall pumpkin patch. 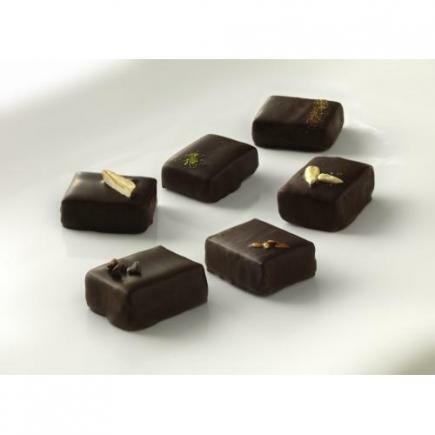 The truffles are not overly sweet which allows the delicious dark chocolate flavor to shine through. Flavors included blueberry almond, ginger green tea, pumpkin chai, pure cocoa bliss, walnut flaxseed crunch and sunflower banana butter (my personal favorite tied with pumpkin chai). I was a little concerned about ordering chocolates online especially with the Florida heat but my Nicobella Truffles arrived just perfect and ready to eat. Go ahead…you know that you want a box just for yourself so why not indulge with a very memorable treat.